You've found the Kingdom Minded Show! 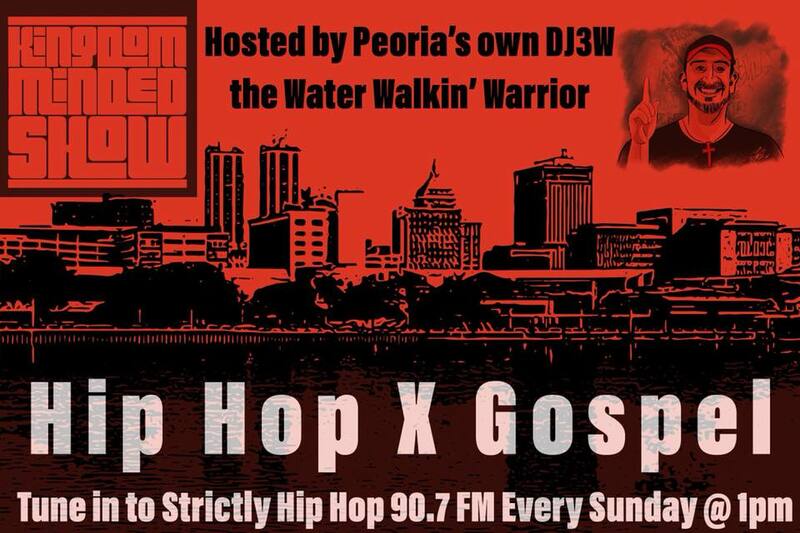 A 2 hour music driven journey through Christian hip hop and Rhythm 'N' Praise that will encourage, inspire, and challenge you to be Kingdom Minded! This week we've got a bunch of new ministerial hip hop. We're talkin' new Lecrae, Yaves, Thi'sl, Gideonz Army, Scooda and Lavosier. There's a whole lot more too on top of that. Make sure you listen to the whole show so you don't miss a beat. This is your show so let us know if you want to hear any songs on next week's show. You can call or text your requests to 775-375-KMRS. We're working on getting a podcast set up on iTunes, but in the mean time you can download the show below. Here is your playlist for this week's show! Good afternoon everyone! We thought we'd take a moment to announce some new releases that came out today. Stephen the Levite returns after a 6 year hiatus to drop a classic in "The Last Missionary". Gideonz Army is out to lead sinners in the "Mainstream" to the Lord in classic GA fashion. And, 737 is dropping his sophomore album called "Convinced" that has some great production and was worked on by Tony Stone prior to release. Give the guys a listen over at iTunes and support your Christian hip hop artists by buying their latest projects. Stephen The Levite "The Last Missionary"
Thanks for visiting the page. On this week's show, we have the return of Stephen The Levite, new Viktory and an R&P joint by Deborah. I think the show turned out pretty nice, but it don't mean a thing unless the Lord is glorified and you, the listener dig it. Leave us a comment if you've been blessed by the show. Next week we have an interview with D-MAUB and Eric Cross aka The Creature Clan. We serve an awesome God! I'm typing this as I over look Lake Barkley, one of the Kentucky State Parks. I must brag on my Lord right now. He made a beautiful habitation for us to live in! I'm down here for a Might Men's retreat with some awesome men of God. This week we've got new Trip Lee and interviews that were done on the spot at the You Are God Tour stop at Rock Church in East Peoria. We're looking forward to many more events to do live interviews and recordings from. Here is a link to download the shows. We hope sometime was stirred up in you to be Kingdom Minded! Thanks for taking time out of your busy day to check out our website. You'll find the playlist and links to your favorite artist's pages and downloads, if time provides. This week we remember Carlos DJ Primo Avila. He went home to be with the Lord on 4/3/12 after struggling with severe depression, taking his own life. Surviving are his wife and 2 children. He was a US Army Reserve veteran that served the US in tours in both Iraq and Afghanistan. We are playing 2 of his mixes so you can hear his work if you haven't had the privilege yet. Feel free to leave a comment below. 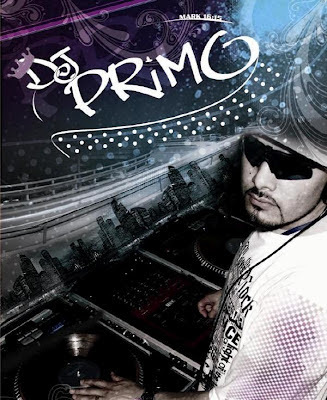 You can donate to DJ Primo's family by downloading a mix of his work put together by DJ D-Lite. See the box below. Please pray for his family and friends! - Viewing is Thursday 12th 2-8pm The Leal Funeral Chapel 2200 Wilcrest Dr. Houston, TX 77042. Phone 713-532-6939. Easter! Did you know that when Jesus Christ rose from the grave He defeated sin, death, and took His rightful place at the side of The Father. We can call on Him for help. Because of what He did on the cross, we can be forgiven and obtain salvation through faith in Christ the Savior. Have you asked Him into your heart and for forgiveness yet? Don't wait until tomorrow; it could be too late. Here is your playlist for today's show! Don't forget to pray for the loved ones that will miss DJ Primo. He was more than a DJ, he was a man of God that meant a lot to a lot of people. Here are some video mixes by DJ Primo, if you've hadn't heard heard or seen any of his work. The second one is chopped and screwed, which he is known most for as the "King of Christian Chopped and Screwed". Again, please take a moment and pray for family and friends of this man of God. He Did That/Flesh Killa Video Mix. He was a husband, father, served in the Army, ministered the gospel through music, and a man of God. This loss has shocked a lot of people since it was so unexpected. DJ Primo you will be missed dearly. We'll see you again one day. You can get more of the whole story at the link below.